Best footballing towns and cities. I have often wondered how the city of Bath compares with other towns and cities for its support of football. We hear people say that Bath is a rugby town. The attendance figures for the two sports speak volumes. Of course, when it was more working class, Bath was a football city. What I have done is to see what percentage of a town or city's population attend football matches. I have used the Premier League teams down to National Leagues North and South. It is difficult to try and tease out the demographics for teams with London, Manchester and others. So I have added the total of all teams average attendances in each town/city. 9th to 16th with 15% to 11% come Barnsley, Sunderland, Ipswich, Fleetwood, Norwich, Southampton, Derby and Pretson. 18th to 28th with 9.7 to 8.1% come Leicester, Newcastle, Sheffield, Blackburn, Swansea, Chesterfield, Wolverhampton, Portsmouth, Nottingham, Burton-on-Trent and Hull. So, not surprisingly, we are near the bottom of the table. The standard level of support in League 1 and 2 is around 3%. So that would give us an opportunity to attract crowds of about 2,500. But as I said at the start, their are many local factors that that swing the percentages by quite a large margin. Re: Best footballing towns and cities. Because people can travel much easier than used to be the case I think you can only say the percentages are a measure of the proportion of average attences at football games relative to the local population. It doesn't represent how many of the local population attend their local matches. Coventry's catchment is actually 600000 people. A lot of people drive from Hinkley Rugby and even Birmingham. Manchester's catchment is the entire UK. Burnley surprises me in that list as there are so many other clubs including premier league sides near there. Demographics of Bath has changed but also we've had the added disadvantage of being near Bristol City/Rovers in addition to Bath rugby. Great information there, thanks City 'til we're.... As you've mentioned I'd discard Manchester and Liverpool from the list as they're tourist attractions. Burnley I think have always been around 20 -25% on this - with a population same as Bath and an unfashionable place it's an incredible percentage. Very true. Some fans even travel to a different Country to watch "their" team. Anecdotally, how many Bathonians do we reckon support either of the Bristol teams? I never seem to see anyone wearing their colours, although I know two local business owners who are Rovers supporters. OliverH wrote: Anecdotally, how many Bathonians do we reckon support either of the Bristol teams? I never seem to see anyone wearing their colours, although I know two local business owners who are Rovers supporters. Good question. Not brave enough to put a figure on it but it's certainly a high number. Bristol Rovers especially have lots of Bath connections due to the ground sharing in the 80's/90's. 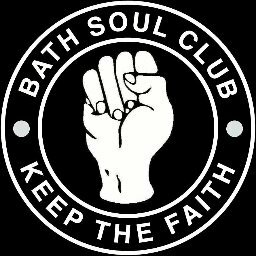 I would bet that most Bath City fans would know at least one Bristol City and Bristol Rovers fan that either lives or used to live in Bath area. Weston Super Mare also have this problem I think, though to be fair to the reds/gas many tend to adopt Bath City/WSM/Mangotsfield etc. as a second team, though obviously proper support is needed. All that said I don't see them wearing Rovers/City colours in Bath much whereas the premiership supports tend to do so more; don't know why! I know loads of Bath born Bristol City/Rovers fans. Very annoying really. Excellent chart city till were relegated. Burnleys stats are impressive. Yes, that chart is the sort of thing that I can take hours researching and it very interesting. Further to the discussion here, I think that the rugby is more of a 'threat' to our attendances than Bristol City or Rovers. I know of two Rovers supporters fairly regularly who come to us but never see Rovers and City shirts anywhere. Mind you, as someone who is in primary schools, I don't see many kids in City and, certainly not, Rovers shirts. Similar in Swindon, as it goes, somewhere else I teach regularly. As it goes, over the last 10 years, I have even seen a migration from Liverpool, Man Utd and Chelsea to Barcelona and Real Madrid. Marc Monitor wrote: Further to the discussion here, I think that the rugby is more of a 'threat' to our attendances than Bristol City or Rovers. I don't think that is true. When we had a match last season, offering half-price entry to Bristol Rovers, Bristol City and Bath Ru**y season ticket holders, we had about 30 from each of the Bristol teams, and just 2 from the Ru**y. Mind you, a lot of the Ru**y people come from well outside Bath. How did just two rugby fans attending one of our matches suggest that their club is less of a threat than the Bristol clubs? comrade powell wrote: How did just two rugby fans attending one of our matches suggest that their club is less of a threat than the Bristol clubs? To me, it just shows that those who attend rugby will not attend football, whereas those who support Bristol City/Rovers know what football is like. Once a season I go to Larkhall, and once every 2 seasons might go to Odd Down, but I have never been to the Rec since we had junior school athletics there, back in the 50s. No, that just suggests that rugby supporters don't cross codes if there isn't a match on at the Rec. The rugby, for obvious reasons, hogs a lot of the media limelight and publicity. Also, it means that Bath is perceived as a rugby town. Like you, I will do the odd one-off game at Larkhall and Keynsham Town but none of those teams will be sensibly building future long-term marketing strategies on that. Mind you, in all reality, the Premiership/Champions League teams and Sky/Bt Sport TV coverage are far more of a threat than the rugby, Bristols City and Rovers. I would guess that some of our high profile matches which were well covered in the media - Ferriby, Woking - attracted rugby fans amongst the many who don't make a habit of attending TP. Of course both sports has supporters who would never watch the other, but I'm sure many of us know rugby fans who are interested in football and vice versa. BenE wrote: Because people can travel much easier than used to be the case I think you can only say the percentages are a measure of the proportion of average attences at football games relative to the local population. It doesn't represent how many of the local population attend their local matches. BenE, thank you for this. You are spot on with your wording to describe this data. What you said is what I meant, only you put it so much better. I did suggest that there are many factors which affect each club/town/city. Manchester IS the classic English example. Also London, with a host of Premier and Championship sides, can only muster 3.5%. There must be special factors at play here. I was drawn to the mass of towns and cities who do not enjoy universal acclamation, and these tend to draw between 2% and 4% (relative to their population). This, I would suggest is something that we could aspire to. Definitely remove Liverpool from that list! Most of us born and bred Scousers would love to go to a match at Anfield, but we can't afford to because of the hospitality packages, Thomas Cook Sport snapping up hundreds of tickets, and touts reselling tickets on Stub Hub, ebay etc. And don't even mention the foreign supporters. Oh, I just did! I've got a friend from Finland who goes to several matches at Anfield each season. He spends anything up to £200 for a ticket! Everton have lots of Belgium supporters for some bizarre reason, but for most matches at Goodison you can still turn up on the day and get a ticket!